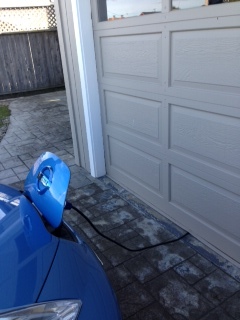 You can of course charge your car by plugging into a home outlet. We plug ours in overnight. (we plan to build a chargning station at our home, more on that in another blog post) Charging on a regular home outlet takes about 20 hours to go from zero to a full charge. 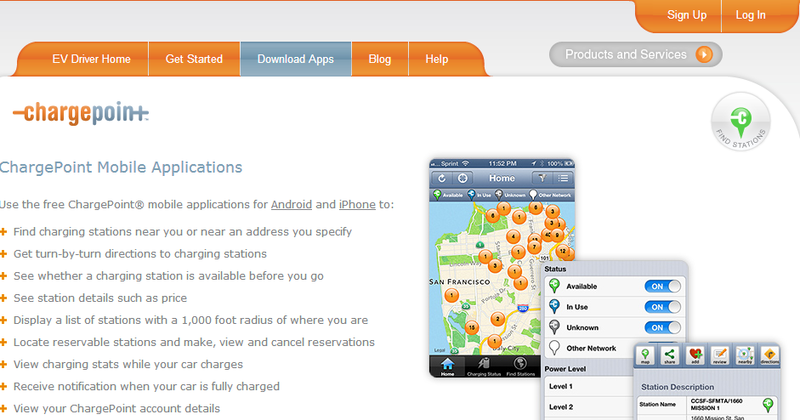 There are several apps for your smart phone which list charging stations, and the GPS on the Leaf tells you where they are. If you live on the San Mateo Coast as we do, they are few and far between. The ChargePoint App locates charging stations for you, tells you if they are being used, sends you a text message when your car is charged, and apparently allows you to reserve spots, something we just learned and need to check out. It lists 10,558 chargers. The Blink Network also offers an App, which my husband downloaded this week after visiting Facebook headquarters in Menlo Park, which has a collection of charging stations, all of which were in use when he tried to plug in.